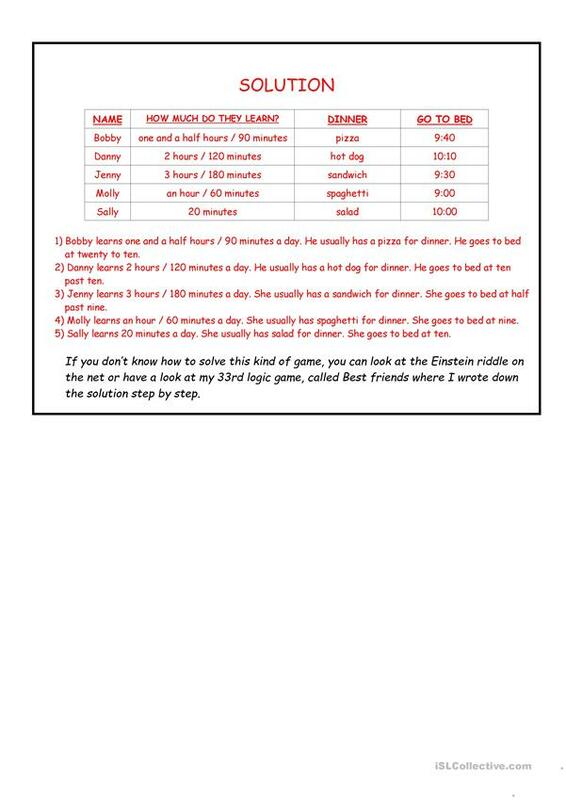 In this (21th) logic game you can find out more about Bobby, Danny, Jenny, Molly and Sally. How much do they learn? What do they have for dinner? When do they go to bed? The cliparts are from Grace Lee and Philip Martin. The key is on the 2nd page. Enjoy it! The present downloadable worksheet is intended for high school students and elementary school students at Elementary (A1) and Pre-intermediate (A2) level. It is valuable for consolidating Present simple tense in English, and is a valuable material for improving your groups' Reading skills. 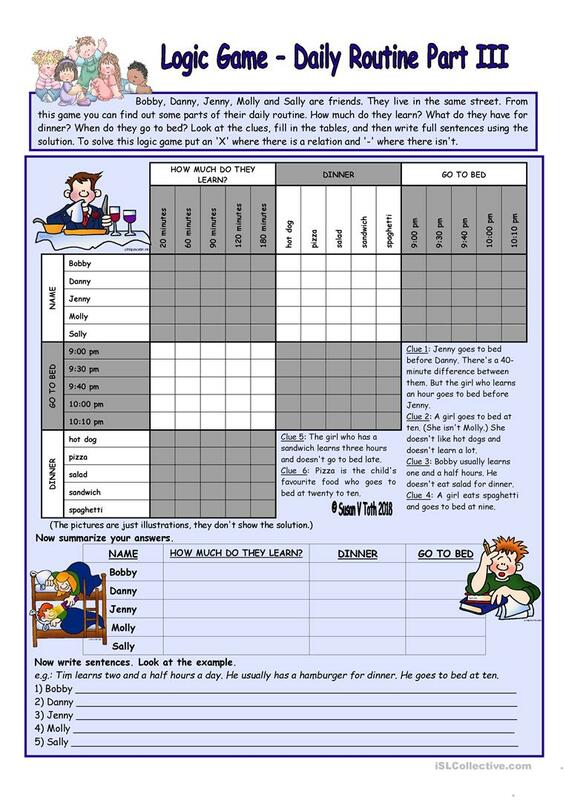 It focuses on the topic and words of Daily routines. The exercises come with a key.